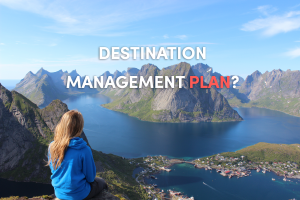 Destination Management Plan, the best tool you can use for it? Destination Management Plan? Use this tool. Destination Management Plan , what is it (for the ones who don’t know)? It’s the process of planning and coordinating the management of every aspect related to a destination and that will contribute to a visitor’s experience. Are you a DMC or Destination Management Professional? Then you know that, a Destination Management Plan is a shared document where you define all the different stakeholders and identify clearly what your visitors will be doing. Usually, everyone in the industry uses Excel files. 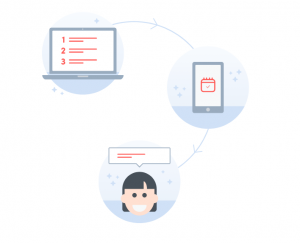 That convert into Word Documents to gather all the info, and finally, generates a PDF to share with the team and visitors. Exhausting right? Fortunately, you can do your Destination Management Plan here in just one platform, that will save you a lot of time and stress! Friendly user experience to the visitor. With this tool you can get all of that, and the best of all? It converts into a Mobile App that your visitor will have in his pocket. Don’t forget to identify strategic objectives and targets! That consequently turn into specific actions. The best way to express these objectives may vary between destinations, but they must relate to clear outcomes. Sometimes these can be expressed as targets that can be quantitative as well as qualitative. By now you can already see that this type of Planning goes beyond marketing. It provides a more global approach to understanding the tourism potential of the destination. Also, it takes into account the best approach to maximize the region’s potencial. There is a lot of research and review before the actual creation of DMP, that’s the only way you can assure you have a great plan! A Destination Management Plan is like a living organism, it should always be relevant and updated. The best way to do this is to use a planning tool where you can update changes easily. Here is a platform that allows you to review and renew your plan: Free Destination Management Planner (contrary to the ones where you print your plan and it’s forever unchangeable).